So I guess I’m still gently easing myself back into blogging…or blogging is gently easing itself back into my life. It’s been a while since my ‘sugar-free’ detox celebrations blog but I’m still living free from the white stuff and feeling great! Here’s a recipe I’ve been developing for our family meal table; we don’t eat dessert often but there’s nothing quite like a fruit crumble on a Sunday afternoon – so here’s my take on it! Place crumble topping on top of the fruit and press down gently. 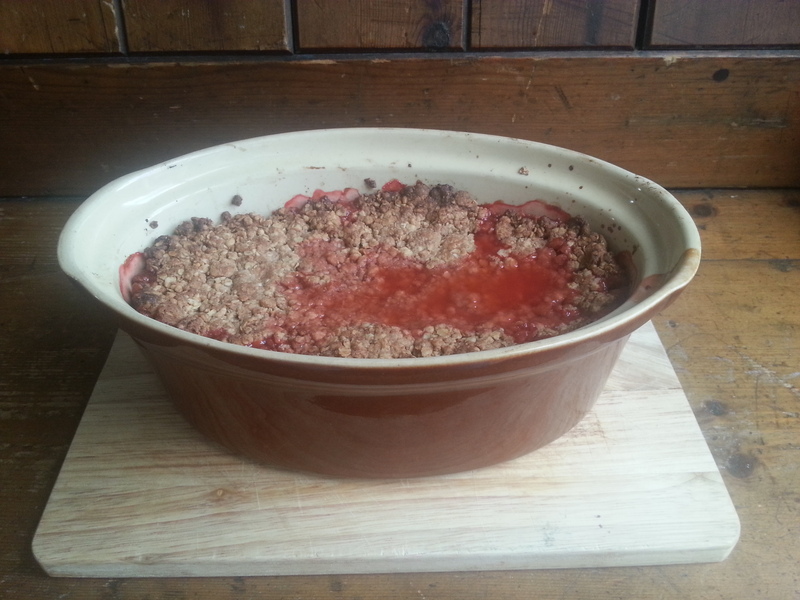 Put dish in oven, gas mark 5 for 20 – 30 mins until crumble topping is golden brown and fruit juices are bubbling through. Serve warm with cream and get ready for yummy noise all around the table! Let me know if you make it – enjoy! Previous Post The sugar-free me!